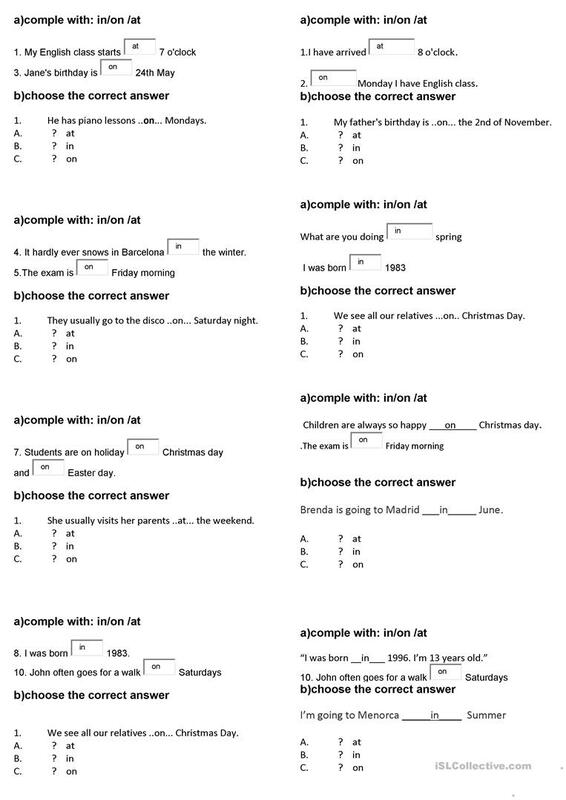 with this test the students will be able to identify the uses the preposition time since, also they will be able to identify the different prepositions and analysing according with the context. This printable, downloadable handout is meant for elementary school students, kindergartners and nursery school students, adults and students with special educational needs, learning difficulties, e.g. dyslexia at Beginner (pre-A1) and Elementary (A1) level. It was designed for working on your learners' Listening, Spelling, Speaking, Reading and Writing skills.